Don't you hate it when you flip through all the channels on your television and realize there is absolutely nothing you want to watch on right then? It can be extremely frustrating. One of the great things about Netflix is that you can always find something to watch. Though sometimes we might just be having a "meh" day where nothing appeals to any of us and it becomes an argument between the kids of "I don't want to watch that again!" This is why I LOVE that Netflix keeps making original shows for the kids because I feel like there is almost always something new. 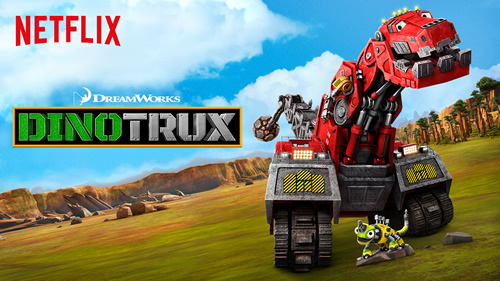 And this August it was Dinotrux! The #1 movie of the year proves that once again, dinosaurs rule the earth! 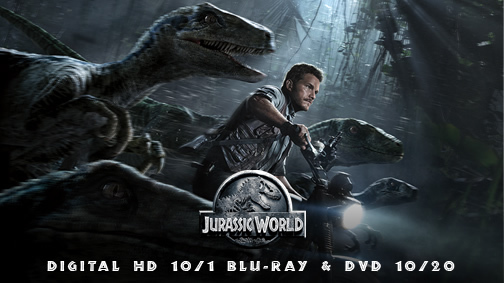 Experience Jurassic World in stunning hi-definition with the Blu-Ray Combo Pack in limited edition collectible steel packaging. Blu-Ray/DVD and Digital HD will be available on October 20, 2015 and on Digital HD on October 1, 2015. Part of me can't believe that school is just around the corner. It almost feels like the kids just got out for summer break a week ago. Almost. Alright that's not true at all, it feels like an eternity. When you have four kids all close in age, summer break soon turns into constant arguing and fighting and I'm looking forward to that first day back to school. So yes, I am excited that I have just nine days left until the new school year starts for us. Of course, back to school time also means lots of back to school shopping. As the kids get older, the supply list can start to change from simple pencils and notebooks to tech gear. My oldest son is entering fifth grade where more assignments and homework are done digitally. Some school districts in our area even require every student to have a Chromebook or tablet. With all the technology our kids are using these days, purchasing additional memory has become a must. Best Buy has a wide selection of SanDisk memory to fit your back to school or everyday needs, whether it be a standard flash drive (which my son will absolutely need) or something a bit more advanced. The SanDisk store makes it easy to find the type of safe storage you need with a user friendly shopping experience. 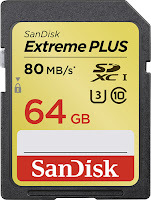 Simply click on the type of device you are looking to purchase a memory card for and the available options will be right there for you to compare. 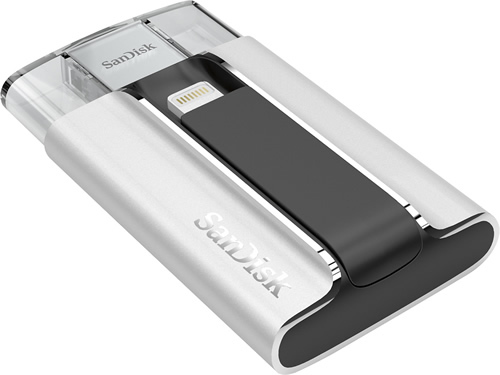 The SanDisk iXpand flash drive allows you to transfer photos, videos and files between your iPhone or iPad and your PC or Mac computers. Plus it frees up iPhone and iPad memory with both lightning and USB connectors. 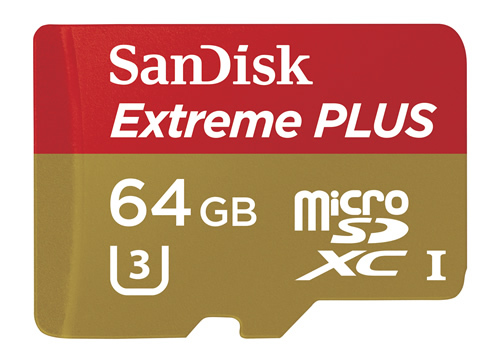 A SanDisk microSD card will allow you to carry more media and apps on your smartphone or tablet. It also give your smartphone or tablet a more responsive camera function and smoother media playback. SanDisk Memory Cards for DSLR cameras and camcorders are over 10 time faster than ordinary cards and offer transfer speeds up to 80MB/. SanDisk products, from professional-grade camera memory to point-and-shoot SD cards to microSD cards, deliver industry-leading performance and reliability. SanDisk SD cards are also designed to meet the security, capacity, performance, and environmental requirements of next generation device. No matter what time of year it is, there is always something to be celebrated and someone to buy a gift for. Birthdays, graduations, weddings... it is a repeating cycle. While gift cards are always a safe go to for any of these occasions, sometimes you just want to put in a little more effort and get a gift the person truly wants. Best Buy has two ways to make shopping for that perfect gift much easier. The perfect place to start your gift hunt is at the BestBuy.com Gift Center. Here you can browse for gifts based on price, age, occasion and more. This helps you quickly zero-in on the right gifts for the right people. Have a friend's birthday coming up who loves to have the latest tech? No problem, just click on the Top Tech Gifts tab to see what's popular right now. Or if you are a procrastinator like me who waits until the day before to get a gift put together, you can easily send an e-gift card from the Gift Center. As helpful as the Gift Center can be, sometimes you still are at a loss for what to give. The Wish List feature at BestBuy.com takes all of the guesswork out of gift giving and makes it easier for both the giver and receiver. 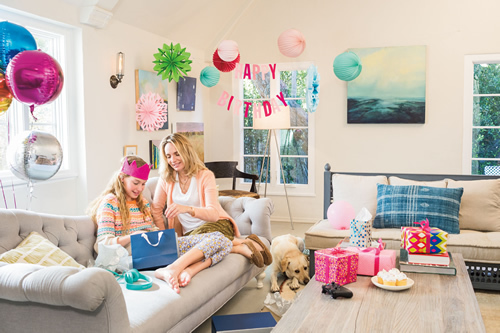 Tell your friends and family to create and share a birthday wish list, so that you can get them the gifts that they really want this time around. It is simple and takes only a few minutes to set up and can be used for all occasions. With the holidays just around the corner (how did that happen? ), getting started on wish lists now will have you ahead of the game and that much closer to finishing up the dreaded holiday shopping. What upcoming occasions do you need to shop for? Would prefer to choose something yourself from the gift idea center or go right to what the person wants on their wish list?